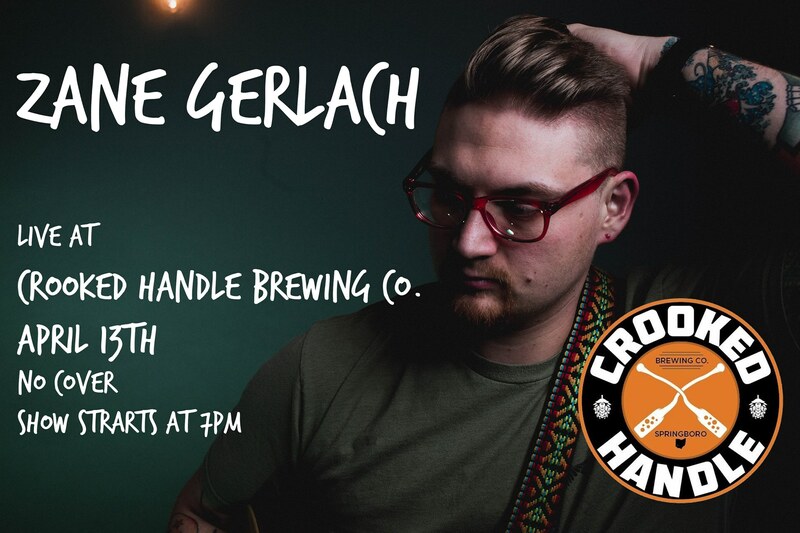 Zane Gerlach - Crooked Handle Brewing Co.
Come out to Crooked Handle Brewing Co. for an energetic live performance from Zane Gerlach! Playing your favorite songs from the last few decades and serenading you with some original tunes as well! Sit back, relax, drink a delicious craft beer, dance, and sing along!